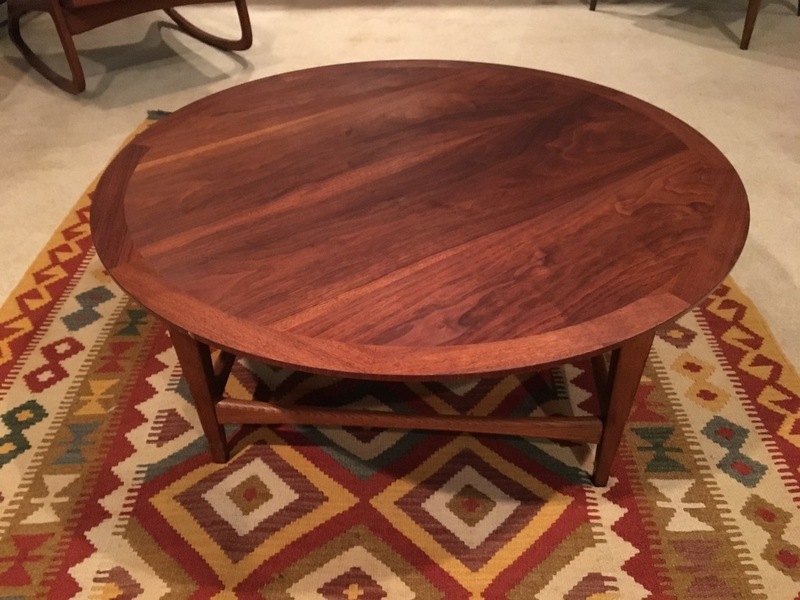 This Mid Century Modern Walnut Circular Coffee Table was manufactured by Lane of Altavista, Virginia in 1962. This table features exquisite walnut veneer showcasing a variety of light and dark wood grain. A square sculpted base provides the perfect contrast to the round top. Well-preserved, this coffee table comes with a 1/4 inch piece of tempered glass to protect your investment. The diameter of this vintage table is 38 inches.